Oh Three Oh Four: 1000 Facebook Likes Giveaway! This giveaway is now closed, thank you for everyone that entered! I will be having another giveaway in December, stay tuned! Woo hoo! Today Oh Three Oh Four reached 1000 likes on Facebook! I wanted to say thank you to everyone! I appreciate every single reader, like, comment and email I receive on this blog. As my way of saying thank you, I'm holding another giveaway! Please click "Read More" to enter. Everything will be done via Rafflecopter. There will be 5 winners and this IS open internationally! Prizes and winners will be randomly chosen and paired together. This giveaway will end November 17th on 12:01 AM EST. Winners will be announced here and on Facebook. The winners will have 48 hours to respond to me or a new winner will be chosen in their place. I am not responsible lost/damaged deliveries. If you cannot enter using Rafflecopter please leave me a comment/email with your information and I can enter it manually for you. 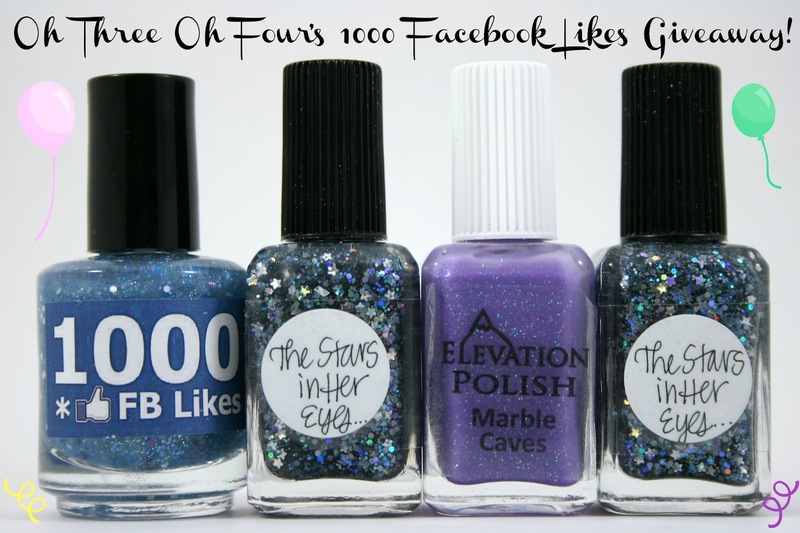 As I said with my last giveaway: I know I cannot put stipulations on what the winners do with these polishes, I can only hope the winners truly want these polishes for their collection and not to resell. 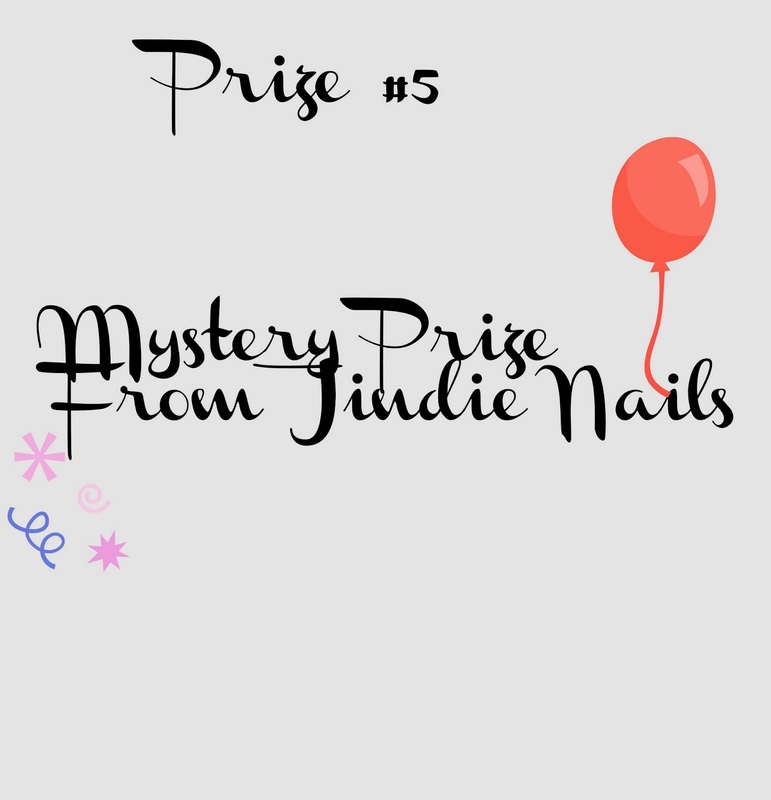 I know all of these polishes are either discontinued or hard to get, with Lynn being again amazing and donating 2 polishes, and I can only hope those who enter are kind enough to enter with good intentions.